Every time you change a lens on your camera you expose the mirror box of your camera to the elements, which can lead to dust on your sensor. The dust manifests itself as dark spots or squiggly lines all over your pictures, and it is a pain to get rid of this dust. Your best option when this happens is to just let the pros at BorrowLenses.com do the dirty work for you! 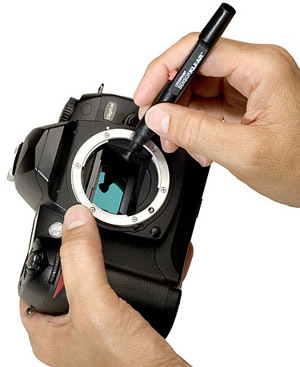 We only offer sensor cleaning for DSLR camera bodies to local customers at our San Carlos location and Waltham location. Also, once your camera is returned to you we warranty the work until the camera leaves our office, so please make sure you are satisfied with the work before you leave.